Fiji Airways, Fiji's National Airline, and Alaska Airlines have expanded their current partnership by signing a codeshare agreement on flights from San Francisco to two popular US cities. 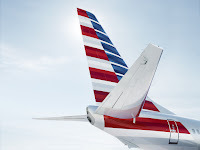 The codeshare agreement enables Fiji Airways to place its "FJ" code on Alaska Airlines' flights from SFO to Seattle (SEA) and Portland (PDX), offering Fiji Airways guests seamless connections to these cities via San Francisco, and vice-versa for Alaska Airlines' guests. The codeshare flights will be available for sale from March 5th, 2018. Mr Andre Viljoen, Fiji Airways Managing Director and CEO, said the airline was delighted to grow its relationship with Alaska Airlines, a key partner in the North American market. "This codeshare agreement is a major milestone for Fiji Airways as we continue to grow our network and expand our footprint in the region. Our expanded partnership offers guests on our SFO services excellent connections to both cities with a significant population of residents with Fijian roots. We will now also be able to attract Seattle and Portland residents to our home – Fiji – which is one of the world's most sought-after tourist destinations, as well as the South Pacific." "Fiji Airways is a fantastic partner of Alaska Airlines, so we're thrilled to enhance that partnership and provide a hassle-free journey for people connecting to Seattle and Portland," said Charles Breer, Alaska Airlines managing director of alliances. "We look forward to welcoming Fiji Airways travellers with genuine, caring service, just as Fiji Airways provides a premium experience for our loyal customers." About Fiji Airways: Founded in 1951, Fiji Airways Group comprises of Fiji Airways, Fiji's National Airline and its subsidiaries: Fiji Link, its domestic and regional carrier, Pacific Call Comm Ltd, and a 38.75% stake in the Sofitel Fiji Resort & Spa on Denarau Island, Nadi. From its hubs at Nadi and Suva International Airports, Fiji Airways and Fiji Link serve 69 destinations in 15 countries (including code-share). Destinations include Fiji, Australia, New Zealand, the US, Canada, the UK, Hong Kong, Singapore, India, Samoa, Tonga, Tuvalu, Kiribati, Vanuatu and Solomon Islands. The Fiji Airways Group brings in 64 percent of all visitors who fly to Fiji, employs over 1000 employees, and earns revenues of over FJD$815 million (USD $390m). 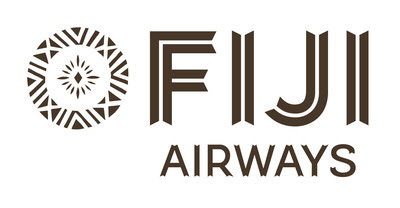 Fiji Airways rebranded from Air Pacific in June 2013.